Training for maximum speed: flat running or resistance training? Ploutarchos Saraslanidis is a staff member of the Department of Physical Education and Sports Sciences at the Aristotle University of Thessalonika. In this study the author aims to prove which method is best in terms of improving the maximum speed of sprinters, by comparing resistance running with flat running. He gives a short overview about the actual methods and means of training for speed improvement and compares the kinetic characteristics of both types of training. The author confirms the findings of former scientific studies on both the impact of resistance running with towing devices and also control of the muscular function and concludes, as far as the maximum speed phase is concerned, that resistance training which incorporates towing a weight of 5kg is not recommended. Of all human skills, speed is the hardest and most difficult to improve when compared to other factors such as strength and endurance (Bauersfeld K. 1983, Hare D. 1989, Grosser M. 1991). 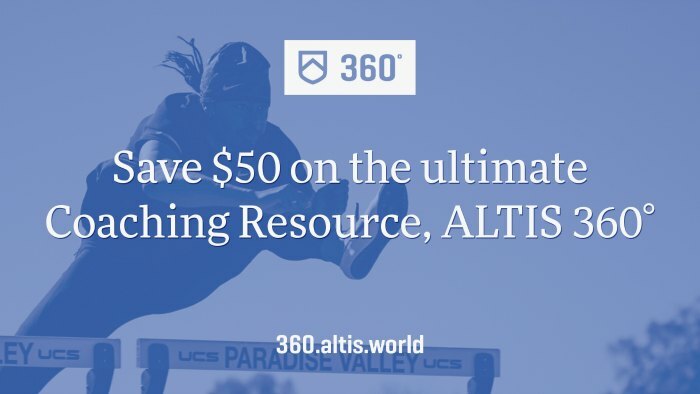 For this reason many attempts have been made by coaches during the last 50 years to invent new training methods, in order to improve the speed of their athletes. These attempts have led coaches to include running in either more difficult or much easier conditions than those faced by the sprinter in track competitions. They have also included combinations of various types of training. From the training methods or means listed above that aim to improve the "special" strength of the muscles that contribute to sprinting, resistance towing in particular, (using a car tire or a special metallic sledge) is the most appropriate exercise of all. This method is very effective in developing both technical perfection and special strength in the sprinter. (Werchoshansky Y. 1980 and Vonstein W. 1995). Resistance pulling has been the basic training practice of some very successful sprinters such as Koch, Gohr, Ashford, Krabbe and Christie. The bibliography, however, does not provide information on how much weight the athletes used as a resistance, or what distances they covered. The article on Krabbe's training programme is the only one to state that resistance pulling helped the athlete to improve her starting phase and acceleration (Letrelter M. et al. 1994). In flat running, at the front support (eccentric phase) of the maximum speed phase, the kinetic analysis by Wiemman K.-Tidow G. (1995) proves that there is a decrease of the knee angle and of the leg-knee joint, which reaches its maximum at the vertical point (for example, the knee at its first position on the ground forms an angle of 170-175 degrees, while at the vertical phase the angle is 150-155 degrees). This "retraction" of the two joints is, at the same time, an eccentric phase that takes place prior to the rear support (concentric contraction) that immediately follows. At first, a "pulling" action is applied and then a "pushing" action, which means that the dynamic of this particular pushing force increases (application of the biokinetic "starting force" principle by Hohmouth). In resistance pulling, according to D. Forstreuter's study (1996) who conducted a kinetic analysis with female athletes, the most characteristic change in relation to flat running is the immediate extension of the knee joint from the beginning of the support phase on the ground, which means that a concentric contraction is applied from the beginning of this phase. The retraction phase (eccentric contraction) is thus eliminated and we only have a pushing action and not (as in flat running) first a pulling followed by a pushing action. That is a significant disadvantage in the context of improving the sprinter's ability in the maximum speed phase. Rohde's study (1993) reached a similar conclusion. Rohde worked with three sprinters over a six-week training programme with resistance pulling and with various additional weights (2.5kg /5kg /15kg etc). He realised that the starting contact of the support phase with the ground gets closer to the imaginary line of the centre of gravity of the body as the pulling weight increases. Thus, the action is increasingly produced by a pushing motion. There are two more studies-- conducted by Mouchbahani et al (1995) and Meyer H. (1997) -- which observed the middle-muscular synergy of the major locomotor muscles in resistance towing using an E.M.G., comparing the data with flat running. These proved the following: with every increase of additional weight (5kg /10kg /30kg) in pulling resistance, the extensor muscles (mm vastus) present, electromyographically, an increase in the average energy tension during the contact. On the contrary, the biceps femoris show no significant increase in the energy tension with additional weight. This is due to the fact that the pulling phase (front support phase, achieved by the action of the hamstrings) in resistance running is limited, or rather applied for a constantly decreasing time and distance as the external resistance increases. Moreover, the Letzelter et al. study (1994) that kinetically analysed 16 female athletes with resistance pulling of 2.5kg, 5kg, and 10kg weighted objects, came to the conclusion that the average changes in the support time were approximately 21% compared to the support time in flat running. This significant change in the support time has an impact on the pattern of muscular activity and changes the application of force in the stretch-contraction cycle of the muscles that contribute to the support. The above statements cannot by themselves justify a particular training regime, but they highlight the complexity of the subject and provide the stimulus for the present study. One of the most important questions a coach has to face is how to improve the special strength of the muscles that contribute to sprinting. Until now many training methods have been used (utilizing training aids, resistance or assisted means], which are believed to be helpful in speed improvement Out of all the various training methods, resistance towing (using a car tire or a specific metallic sledge) is the most specialised exercise (Vonstein W. 1995). The question that arises is to what extent we can deviate from the competitive movement, so that the term "dynamic agreement" would remain valid and have a positive effect on the athlete's performance. Since the majority of scientific studies evaluate and compare the data which has emerged from measurements taken when athletes use resistance towing in relation to flat running, this study includes the time evaluation before and after an 8-week training block. The two study teams that were set up carried out the same training programme (4X50m at maximum speed). The difference was that the first team focused exclusively on flat (competitive) running, whilst the second team only utilised resistance running, pulling a weight of 5kg. 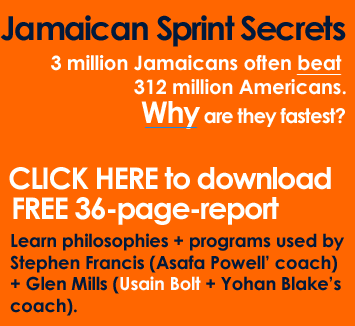 The study is quite significant and has a practical use for sprint coaches. The results of this study will give answers to some of the problems and questions that coaches face, such as to what extent could speed performance be improved through the use of additional external resistance. 1. The participants were students of the Department of Physical Education and Sports Sciences of the Aristotle University of Thessalonika. A total of 80% of the subjects were former athletes in the generic sense, with prior experience in several sports (track and field, football, basketball, swimming, volleyball). Before participating in the study, they took part in an introductory 4-week programme of 2 training sessions per week in order to reach a satisfactory level of fitness. 2. It is known that movement technique, and the special coordination abilities of athletes are of great importance when it comes to speed development because the performance ability related to speed is considerably reduced when the muscles are not coordinated (Grosser M. 1944) That is due to the fact that "speed in maximum intensity and the exactitude of the movements are inversely related" (Schellnberger H. 1986); thus, the faster a movement is performed the more inaccurate it is. This ability was found to be rather limited among the students compared to the sprinters, although both the introductory programme and the study itself placed special emphasis on technique improvement. 3. Based on the above facts, the students' improvement during the 8-week training programme of the study could be due not only to the development of the special strength required for sprinting, but also to an improvement in coordination ability. That point is true for both study teams as they were both subject to the same training criteria. The sample comprised male first-year students (1998-99) at the Department of Physical Education and Sports Sciences of the Aristotle University of Thessalonika (age 20.15 [±2.2]. height 1.77m [±6.8]. and weight 74.84kg [±9.03] at the initial measurement, and 75.6 kg [±8.8] at the final measurement). The participants were divided into two study teams of 24 students each, and one control group of 16 students using the random choice method. During the study, 15 students dropped out of the study programme due to various reasons (health, lack of time), while three students were dismissed, because they did not exercise according to the study plan. Before the beginning of the study and immediately after its completion, the initial and final time evaluations of the programme were carried out. Initially, there were 24 participants from each study team and 16 students from the control group. In the final evaluation, there were is participants from each team. a) Five (5) photocells with their corresponding refractor. Each of the above instruments was placed separately on a tripod, 1-1.20m above the ground, so that they could sense the shoulder height of the passing bodies. 5th photocell: 51m after the start point. The students started from an upright starting position without a starter. The first photocell was placed one metre after the start point in order to avoid the "problem" of the reaction time. The students' reaction times are not therefore included in the acceleration phase. Note: The 20-40m section includes a part of the acceleration phase (20-30m) as the average of the students' time analyses proved. Both in the initial and final timings of the evaluation, the participants ran 50m twice at maximum speed and were timed. The electronic timing system was specifically adjusted to automatically print the duration time and the total time achieved over Sam. From the two runs undertaken by every student only the fastest performance was used in the evaluation. One day before the physical tests all the students that participated in the study gave 5ml of blood at the Biochemistry laboratory within the University in order to find the blood fatigue indicator CK. The objective of this analysis was to examine the degree of the students' physical fitness for the tests that were to follow. The training programme ceased five days prior to the final timing session, whilst before the initial timing session students were instructed not to undergo any intense physical activity for three days. The U/L method (Units per Litre) at 3rC was used for the biochemical tests. The two study teams used two different training methods. The first team concentrated exclusively on flat running and the second team utilised resistance running, pulling a special sledge which weighed 5kg. a. All the participants were exempted from running speed exercises in the practical sessions timetable for the students. Their speed training was limited to the boundaries of the study. b. Every run undertaken in the study was timed by the author himself. The participants were asked to put maximum effort into every run. Thus, the timing of their performances gave them a motive for improvement. There was also a print-out for every timed effort, and at the end of each training session there was a calculation of the students' average for that day (e.g. 4X50m in 6.60 6.64 6.70 6.62 giving an average of 6.64). The average performance for each student was recorded in the student's training protocol. At the next training session the students' goal was to improve the average time achieved in the previous session. c. On the day before training all the subjects were asked to be in bed by midnight at the latest. There were some cases where students stayed awake the previous night for several reasons. In these cases, training was held in the afternoon of the following day, so that they could rest at noon. Time analyses were undertaken for the maximum speed phase of the 50m run, before and after the eight week training programme of the study in order to examine if there were any differences between those trained in flat running (1st team) and those trained in resistance towing (2nd team). The resuIts a re presented in the following tables per research team. The control team results are also presented there. The Wilcoxon signed-rank test was used for the statistical analysis it is applied to a small sample with dependent variables. On the contrary, the second team which concentrated solely on resistance towing did not show any improvement in the 20-50m distance. The average time for this distance was worse in the final timed session by 0.01. Furthermore, the control team showed the same results over the 20-50m section and once again the average performance deteriorated by 0.01 in the final timed session. The analysis of the results shows that for the maximum speed phase (20-50m), the performance of the second team which trained for a period of 8 weeks with resistance towing as the sole coaching methodology tool, did not improve. The above findings of the time analyses coincide with the findings of former scientific studies on the impact of running with resistance pulling and control of the muscular function using an electromyograph. The drastic decrease of the duration of the front support phase in every stride changes the pattern of the kinetic behaviour and the sprinting action becomes only "pushing", instead of a "pulling" and then a "pushing" action. The impact of eccentric strength is limited and, as a natural outcome, the concentric force cannot give maximum results (there is no application of the biokinetic starting force principle by Hochmuth). Thus, as far as the maximum speed phase is concerned, training with a 5kg resistance weight is not recommended, as the present study has proved.